OUT OF TOWN FLOWERS TODAY! 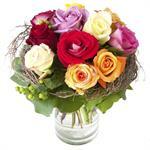 Eugene and Springfield's premium florists since 1921. Sweet and artfully arranged, a variety of roses, a collar of willow and branches combined with greens and berries create a whimsical rose arrangement. 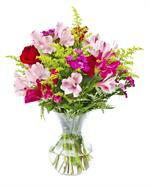 Arrangement measures approximately 9" x 12"
Another elegant floral design, with both whimsy and spirit. A glass footed compote vase is filled with artfully arranged roses, lilies, lisianthus, foliage, and other seasonal flowers and accoutrements. 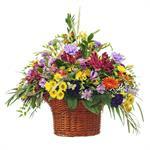 A basket full of wildflowers is both rustic and charming, and always well received! We like adding birds or butterflies to ours! Measures 15" x 15". A variety of wildflowers are naturally designed in a clear, tall vase... seasonal flowers are always fresh and locally grown when possible. Measures 24" tall. 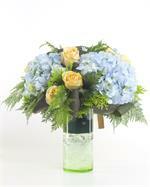 Blue hydrangea and yellow roses are combined in this classic design. 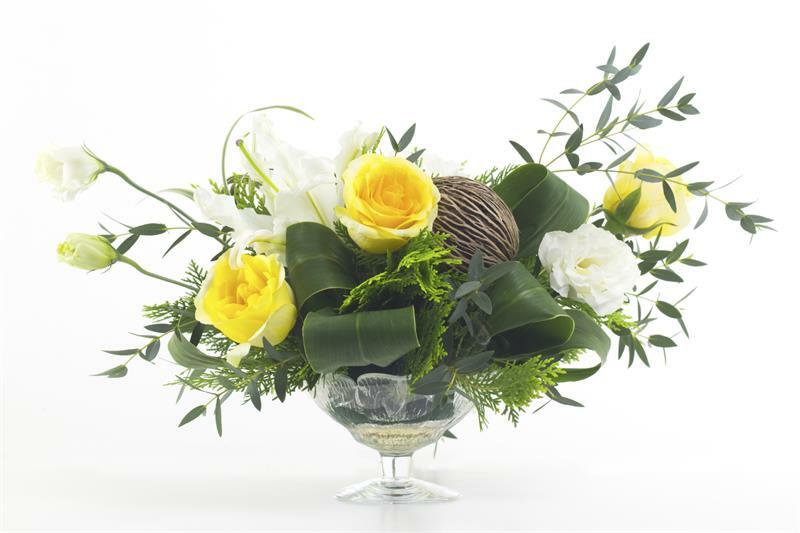 Fern and foliage anchor this elegant arrangement. Measures 14" tall.